In keeping with my blog on Van Gogh in Yellow I went to see the movie Loving Vincent. This is the first fully painted animated feature film ever created. 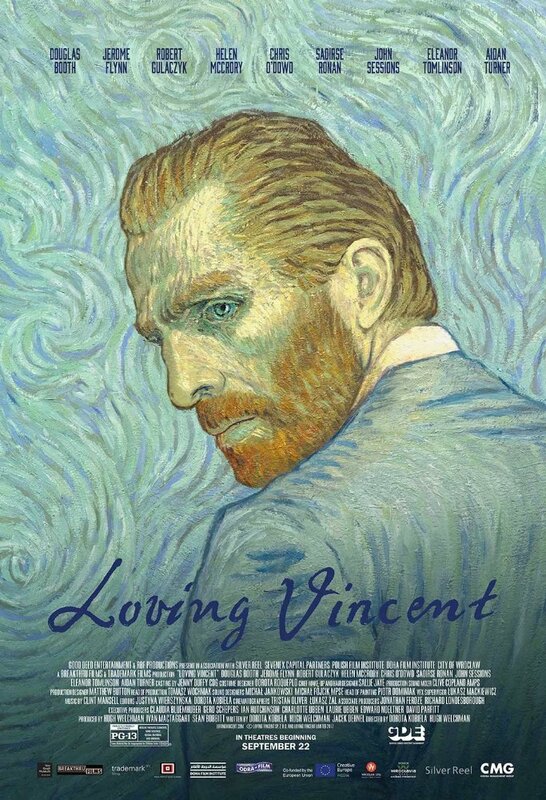 The movie starts one year following Van Gogh’s death and Armand, the son of Postman Roulin, is entrusted with a letter to be delivered to Theo, Vincent’s brother. Armand travels to Auvers-sur-Oise, the village where Van Gogh spent his last days and talks to the local people who knew him. He uncovers that his death is mysterious and it raises speculation as to whether he did indeed commit suicide or was shot by someone in the village. A truly remarkable and moving film. Go to link below to see more about the making of the film.